I like to write things down. I make lists and I plan and I calendar, but I can't always remember where I wrote a particular list! In an effort to figure out the best planning method for myself, I'm trying out a new planner. I've also found another day-planning tool that I LOVE, and today I want to share them both with you! Both products were ordered from Limelife Planners. This is how they arrived- wrapped up in cute tissue paper and inside of a padded mailing envelope. I ordered the "Mary" Weekly Planner. If you visit their site, you'll see that each planner is named with a woman's name. I also ordered the Hourly Paper Pad. First I tried printing a couple of pages of this (you can get it for free as a printable from their site), to try it out. I found that it worked really well for me, to plan each day out. I use the left side list as a check-list "To Do List" where I write down all the things I'm hoping to accomplish in a day. Then on the right side, I start to plan my day out by time. I don't use the "Quote of the Day" part (or if I do, it's for random notes, along with the Notes section at the bottom of the page). Now, back to the planner! I love the quote that was included on the front of the Mary planner. I also love that they'll print your name on the front! :) Each planner comes with a band around it, and it's a surprise what the band will look like (colour/pattern). I got this turquoise one which is just right because I've been loving that colour lately! I really like the colourful letters for my name and the tabs. Each month has a colour (which you can see, along with the rest of the interior of the planner, in the video below). To give you a good idea of what the planner is like, I made a little video showing you what the interior is like. Hope you find it helpful! Now that you've learned all about my planner and the Paper Pad I've been using, you can visit their site to see what other products they offer, and you can fill out the form below, to enter to win a gift card to order your own planner (or a gift code for that amount, to spend on other products from their shop)! Disclosure: I was provided product to facilitate this review. All opinions shared are my own. OMG! Those are beautiful! Like you I love to write things down! As much as I'm obsessed with electronics, there is something so satisfying about a pen and paper! The set you got is stunning!! I love the quote and the colours! I have some sort of obsession with planners, but have not found the right one yet! 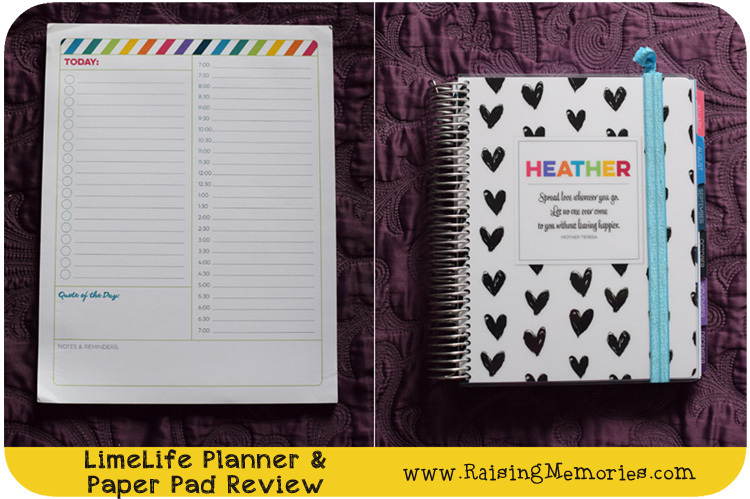 I really like the monthly planner that was shared in your video Heather and I think I would choose the Dottie cover or maybe Paige. They are so pretty! I just started using a paper planner this summer! I had used my iPad calendar for forever and decided it just wasn't enough. I also love to make lists and am glad to have my planner to have it all in one place - the lists, appointments, and weekly goals. I got the Get To Work Book, but this one looks great too! I have a love for planners and this one is awesome. I love the checklist! The weekly planner looks like its perfect for a blog planner! I love the notebooks with the cute covers and the washi tape! Oh how i have been eyeing all these fun colourful planners lately! I am such a pen and paper kinda girl! The Mary cover with is my favorite. I adore the hearts! And the pop of color is so pretty. I should check this out!!! 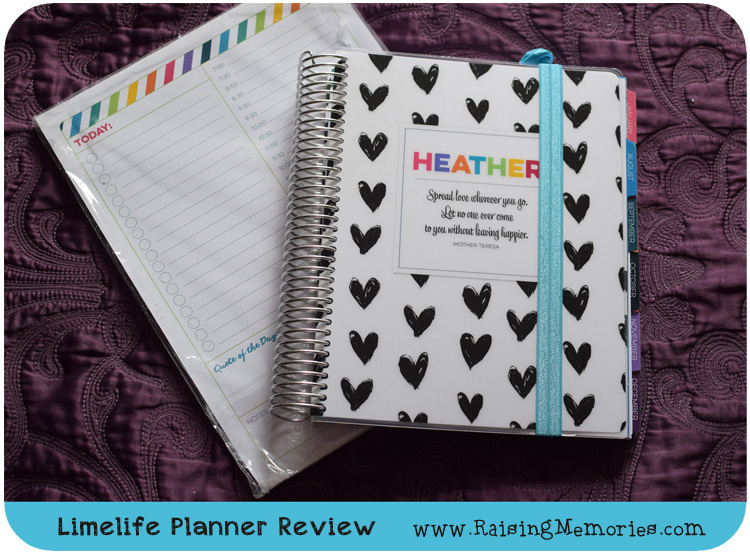 I have a blog planner and a homeschool planner because I'm a list person like you... I keep thinking I should have a household / life planner too for all those other things. And I love cute packaging!!! So awesome. :) Thanks for sharing! I'm off to check this out. I love the Amelia and the sticker stamp set. I love the planner with the black & white stripes! I'd love to order the Blackboard Teacher Planner. It would be so great for homeschool. I would order the HAPPY HOLIDAYS PLANNER. A monthly planner would be so helpful! i love the Brooklyn weekly planner. I am loving these planners! Each one is prettier than the next! 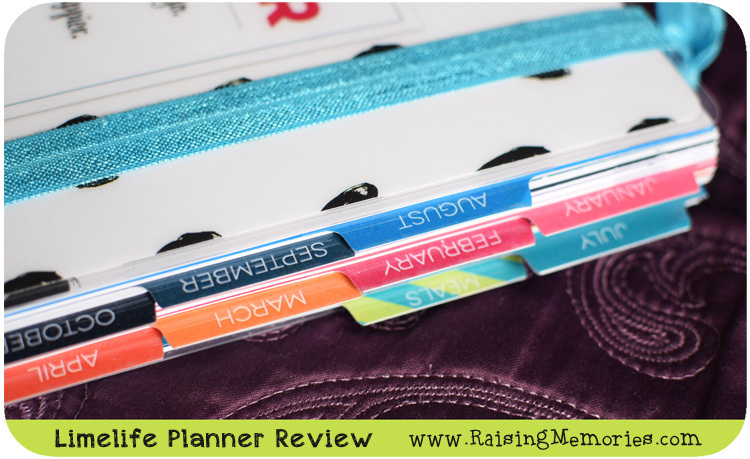 I am loveing the Annie Weekly planner! Fantastic Video . Yes would like limelife planner . I would love to order the Annie Weekly Planner. Lover their selection! I really had a hard time deciding which one I would like best. I do love a planner and have been looking for a better one. I think I would get a monthly planner and do a bunch of add-ons. I would start with that meal planner and the budget. Thanks! I would love the mary weekly planner. Oh my...so many cute stuff to choose from...but that Dottie Weekly Planner really speaks to me! I like the Monthly planner and meal planning notebook. 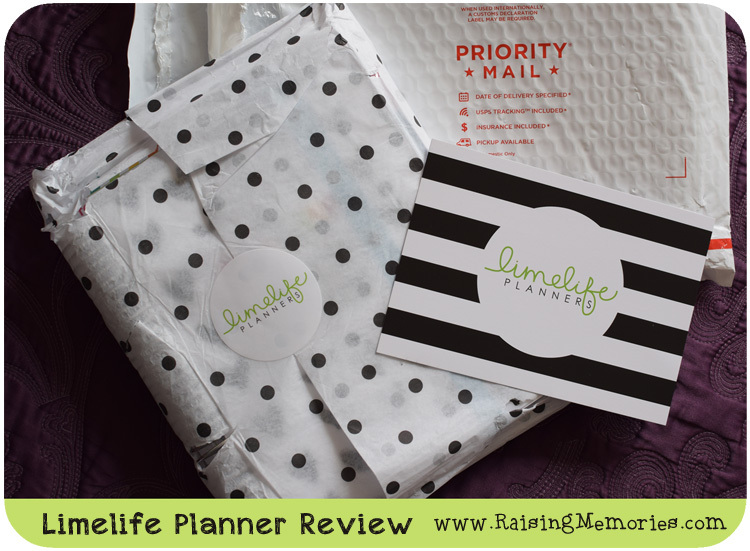 I like the Limelife Monthly Planner and the Holiday Planner. So many things. I'm really loving the Paige weekly planner. I'm digging the a5 idea too. Not sure. Way too many amazing options. I like the Annie weekly planner. I would like a Brooklyn Weekly Planner! I love this planner notebook, it is really cool! I love this planner notebook, it is so beautiful, good work to the designer! I would get the Mary weekly planner or maybe the Rachel. DOTTIE WEEKLY PLANNER is one of my favorites. It's so cute. I would get either the Amelia or the Brooklyn weekly planner. Definitely the Betsy Weekly Planner. I love the Charlotte planner and the meal planning add on would be so helpful. Really cool. Thanks!! Love the Charlotte planner and I'm really digging the meal planner add on. I'd also love to order the Task List Paper Pad. From Limelife Planners I like the "Task List" Pads. I find it very helpful to have a task list, to be able to check off, and add new tasks. I would love to order a bunch of stickers and the meal planning inserts (if not the notebook). I love the meal planning notebook! I love the Betsy Weekly Planner. Beautiful! I would love the social media add-on, it would be great for helping me organize blog posts! I love the "Amelia" and the "rachel" weekly planners. I love the "How big is your brave" quote! I would order a monthly planner! I love their monthly planners - and the Washi tape, too! I would love to order the Lifelime 7x9 notebook in Dottie and also in Maddison. I would love to order the BETSY WEEKLY PLANNER :) ! I recently just got addicted to planning ! I would like to order the MEAL PLANNING NOTEBOOK. These planners are amazing!!!! I abslutly adore the customization and the designs, adorable from front to back!! I would love to win the dottie weekly planner!!! I love the weekly planner. I'm in the market for a planner. This one looks great! They have so many awesome options! 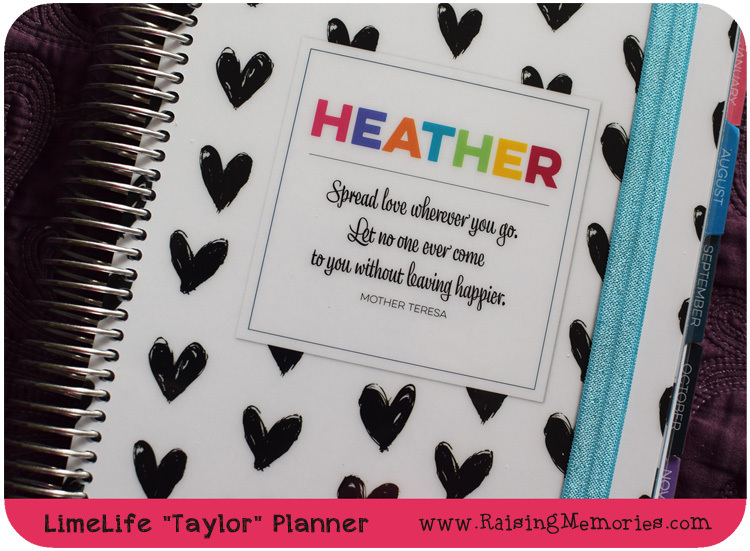 I would absolutely love the Limelife Monthly Planner in the style 'Rachel'! I love the Paige and would choose that one this year! Thanks so much for the chances to win. I'd LOVE to get a weekly planner! I like the weekly planner Thanks for the chance! I would get the meal planning book! I would like to try out a weekly planner and the Brooklyn Weekly Planner is really cute! Between my work and the kids schedule we definitely need to have a weekly schedule going! oooo, need to check out LimeLife. I am an Erin Condren fan, but these covers are cute!